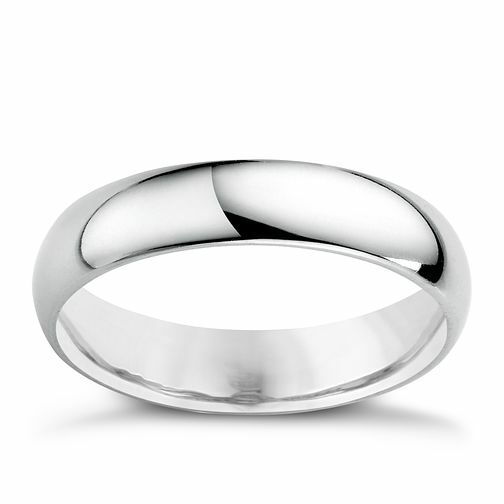 A classic plain 9ct white gold, extra heavy weight, D shaped 4mm ring. Ideal for bride or groom. 9ct White Gold 4mm Extra Heavy D Shape Ring is rated 3.8 out of 5 by 6. Rated 2 out of 5 by Anonymous from Nice ring, poor quality Nice looking ring. I wore this for two weeks before noticing it had split and has had to be replaced. See how long this one lasts. Not what you want from a ring that's meant to last a lifetime. Rated 4 out of 5 by Anonymous from Good quality wedding band at an affordable price Good quality, shiny, light and looks great against any skin tone.